John Kenneth Doherty was born in Detroit, Michigan, on May 16th, 1905. After graduating from Wayne University in Detroit with an A.B. in 1927, he earned a masters degree in physical education at the University of Michigan four years later. While a student at Michigan, he was the National Decathlon Champion in 1928 and 1929 and was the American record holder after his second championship. At the 1928 London Olympics Doherty won a bronze medal for his performance in the decathlon. While earning his postgraduate degrees at the University of Michigan, Doherty worked as an assistant track coach at Princeton University, from 1929 to 1930, and then at the University of Michigan, from 1930 to 1939. Doherty was promoted to head track coach at Michigan in 1940 and coached there until completing his doctoral studies and earning his Ph.D. in 1948. His work as a director of the Boys’ Camp at the National Music Camp in Michigan led to the 1941 publication of his book, Solving Camp Behavior Problems. He was also the author of another book, Track and Field Athletics, published in 1953. 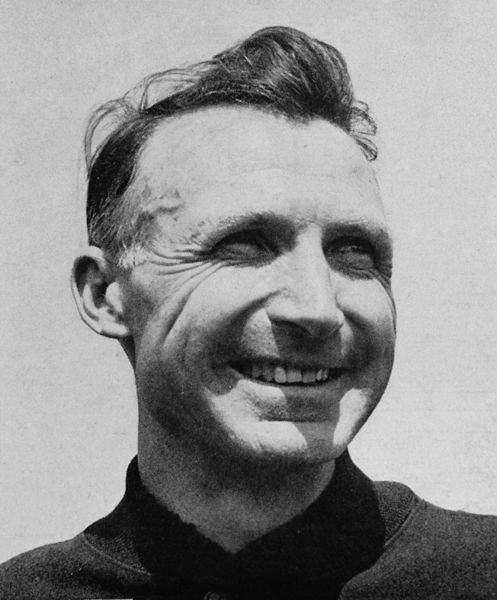 After leaving Michigan, Doherty became head track coach at Penn, staying until 1961. From 1956 to 1969, he was the director of the Penn Relays, and he also directed the first USA-USSR dual track meet. Doherty died in 1996 in Lancaster, Pennsylvania. He was inducted into the University of Pennsylvania Athletics Hall of Fame in 1998.